That is still such a cool thing to declare! I have twelve fantasy novels on the shelves now, mostly from Big Five publishers. I'm also now dabbling in self-publishing. 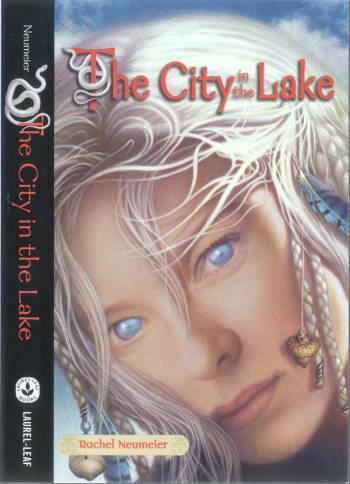 a) The City in the Lake -- YA fantasy -- starred review from Booklist, so if you like fantasy, why not give it a try? In style, this one is kind of a fairy tale. I don't want to sound immodest, but if you love Patricia McKillip, check out City. b) The Floating Islands -- another YA fantasy. A starred review from Kirkus, and in fact Islands made the Kirkus list of best-of-children's for 2011. They listed it under Best Boy Characters AND Best Girl Characters! This one is more an adventure story. Someday I expect to see a sequel hit the shelves. c, d, and e) Lord of the Changing Winds, Land of the Burning Sands, and Law of the Broken Earth -- The Griffin Mage trilogy, out from Orbit (Little, Brown). These aren't YA, but regular adult fantasy. But they're written in pretty much the same style and at the same level, so don't let the adult / YA tags influence you too much. Available in mass market paperback, as an SFBC hardcover omnibus, and as a trade paperback omnibus. f and g) House of Shadows -- Orbit -- an adult fantasy that draws on Eastern influences for its background. I recently completed a sequel, Door Into Light, which will probably be self-published one of these days. h and i and j and short stories) Black Dog and Pure Magic and Shadow Twin -- Black Dog came out in 2014 from a smaller press that then closed, so I self-published additional works in that world. Shadow Twin should come out in Summer of 2017. There are anthologies of shorter works set between each pair of novels -- just look for Black Dog Short Stories and they'll pop right up. .... and by the time those are all on the shelves, I'm sure there will be more in the works!